After yesterday’s fluctuations of contracts for the supply of Brent and WTI crude oils, prices have stabilized at the same level. May futures for Brent crude are being traded for the price of $ 67.25 per barrel. The WTI contracts for April have grown a bit and cost $ 58.6 today. The weekly growth for Brent crude oil has amounted to 2.3%. WTI crude oil has grown by 4.6%. A signal of problems in the trade negotiations between the US and China became the reason for the price fall. Because of this, investors again began to fear about a decrease in oil demand. According to the Bloomberg agency, the meeting of the leaders of China and the States, which could be held in the second half of March, will not take place. Informed sources told the agency that at best it could be held in April. Thus, there is no hope for the resolution of the conflict in the near future. 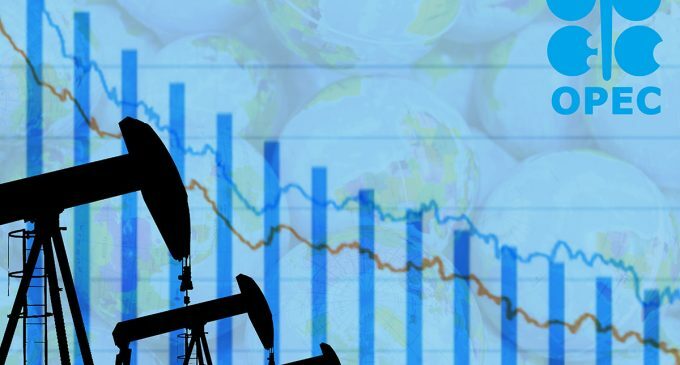 The report of the US Department of Energy positively influenced the price of WTI. It made public the data on the first weekly decline in production in the United States this year. Oil reserves have shown a decline too. OPEC urges parties to the agreement to reduce production in order to continue to maintain a stable market situation throughout this year. Yesterday, the cartel presented a revised (compared with last month) assessment of the growth in demand for “black gold” in the past and current years. Demand for oil in 2018 was higher by 1.43 million barrels per day, and rose to 98.7 million b / d. The previous growth estimate showed a rise in demand of 1.47 million. This year demand is expected to increase by 1.24 million and reach 99.96 million b / d. In the forecast for 2019, this figure was equal to 100 million.